Hey guys! I'm currently working on a personal project that I would like to put into my portfolio and I would really appreciate some feedback on my draft work so far. Right now I'm drafting up two variant comic covers for the project and would like some fresh eyes to take a look to see if there are any adjustments I could make to the compositions. Any help would be very appreciated! Thanks! 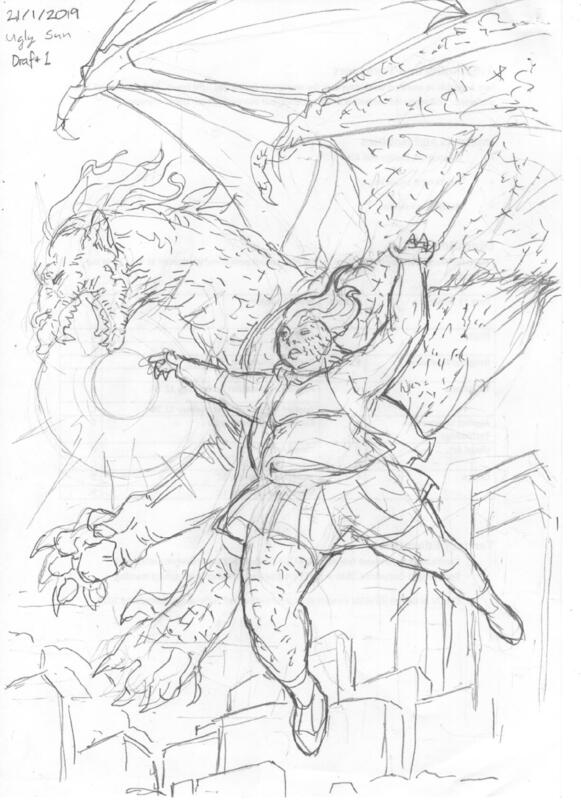 I like the composition of both, but the first one is way more dynamic (obviously) I think it would fit better a comic with dragons and stuff, but we lack a bit of context as to what the comic is about. Thanks for your input @flotos! The context behind this is project is the human character is a superhero and her ability is to turn into a dragon (the dragon behind her). The second composition is of her standing in front tall windows, I see it might have been difficult to recognize. Yeah, both are really good! I like the second one a lot though. - Dont' try to fit everything within the page of your composition. Don't be afraid to cut large elements out of the frame you're using and don't be afraid to crop your initial composition if you think a closer view would be better for your story. 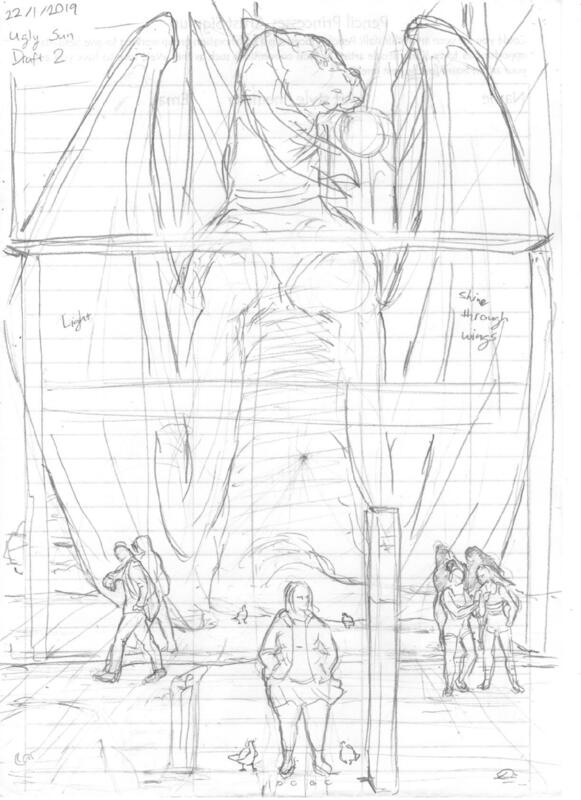 Also, more thumbnails with even less details should help you choose easily the best element to work from. Cheers!